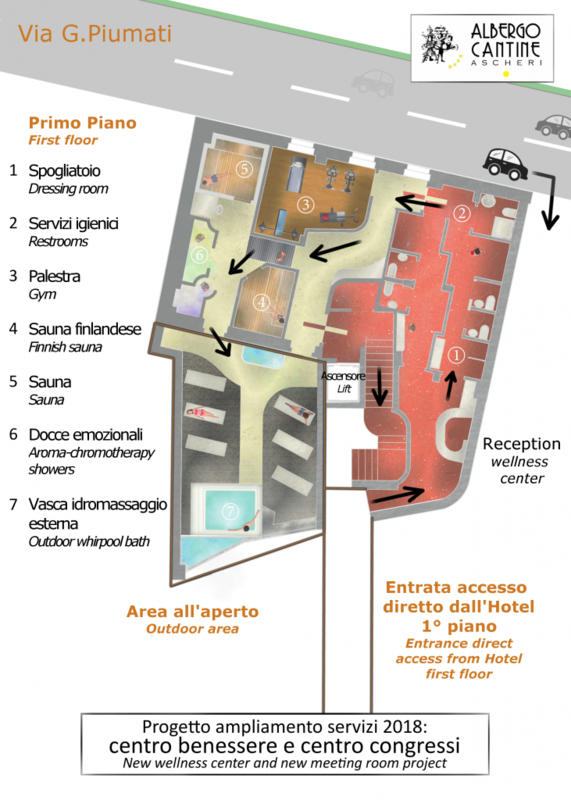 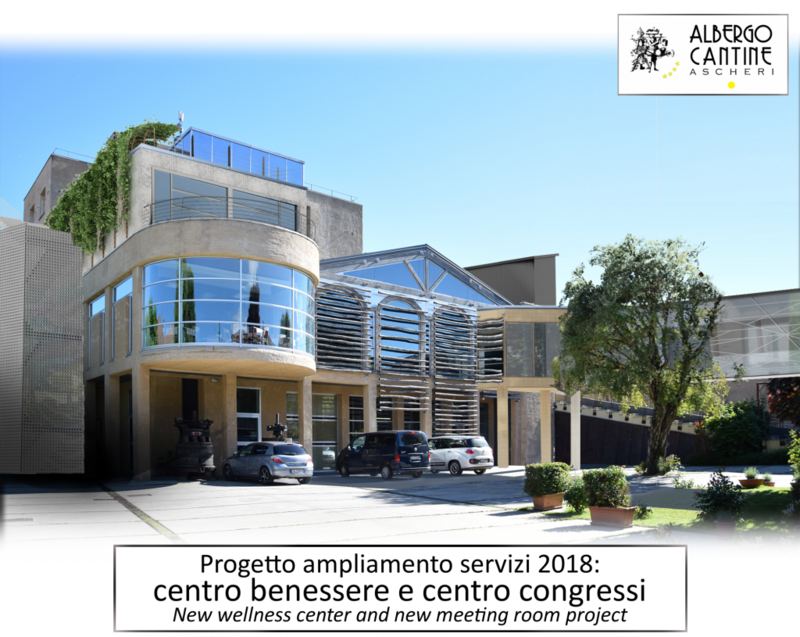 From January 2018 we will start new building works for the enlargement and the renovation of our hotel, leading to the construction of a new wellness center and a new congress/meeting room. 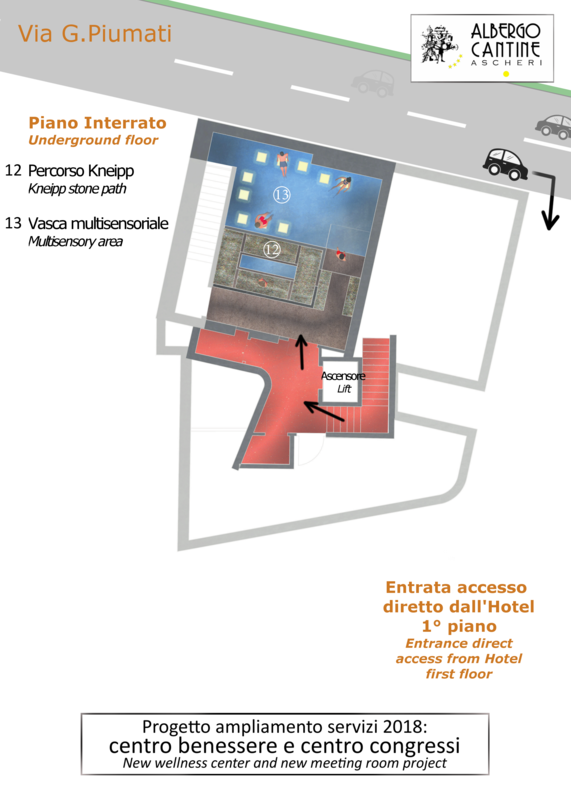 We will try to minimize the inconveniences for our guests,considering that anyway most of the the works will be done outside the hotel. 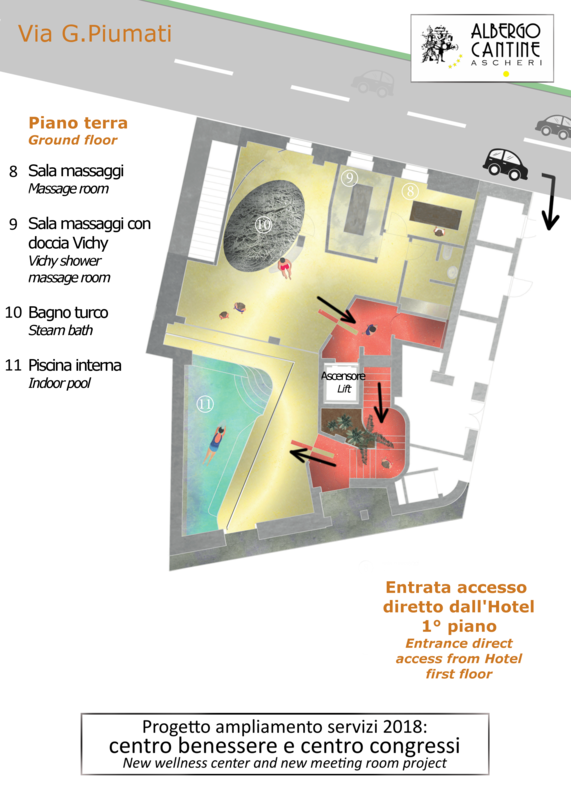 The images are a rendering of the final project,with the 3 different floors of the new wellness center located in front of the hotel and connected to it with an external walkway.